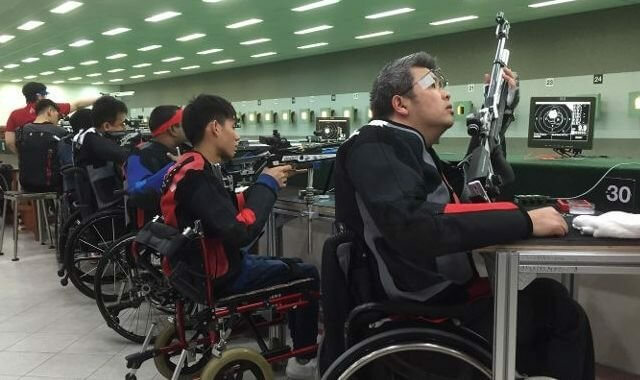 An eleven-member shooting contingent will be representing India at the World Shooting Para Sport World Cup to be held at Al Ain, United Arab Emirates (UAE) from 19th to 28 February. This is the biggest ever para shooting contingent to represent India at an international competition. The shooters have been selected on the basis of their performance at the 60th National Shooting Championship in Pune. Apart from the eleven shooters, seven officials will be accompanying the team to provide the necessary support to the shooters during the prestigious competition which will be held at the Al Ain Equestrian, Shooting & Golf Club. The Paralympic Committee of India (PCI) under the presidentship of Rao Inderjit Singh has given a huge boost to para sports in the country. This is the first time ever that the Paralympic Committee of India (PCI) is sending such a big team for the World Cup. Apart from the shooters, we are also sending a team manager, two coaches and a four member support staff to assist our shooters”, said JP. Nautiyal, Chairman, Para Sports Technical Committee-Shooting. P N. Papanna, father and coach of Olympian shooter Prakash Nanjappa has been appointed as the pistol coach while experienced shooter Gita Shankar is the rifle coach of the team for this World Cup. The team is currently undergoing final preparations at a training camp in Sport Authority of India’s (SAI) South Centre in Bengaluru.